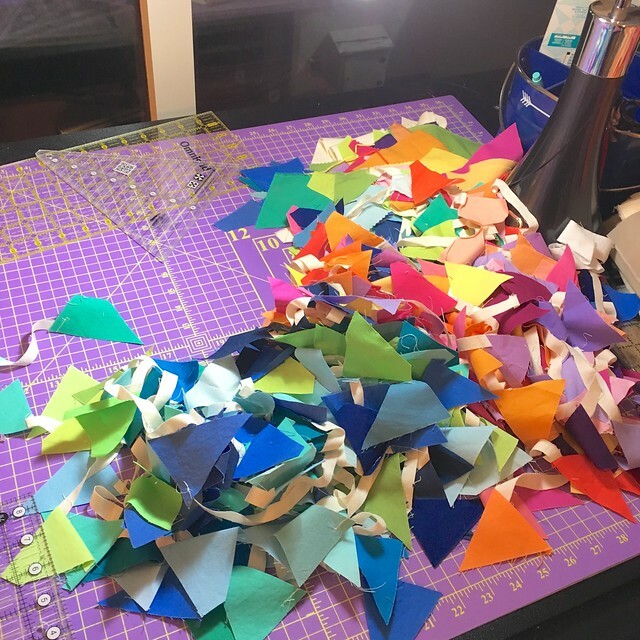 I shared this photo on instagram last night of some scraps of Moda Bella Solids left over from a fun and clever project I am working on for the Fat Quarter Shop, and which I can share with you in early September. It was late and on my instagram photo I said I was trying to decide if I should toss or keep them. And the response I woke up to was to keep them or rehome them, with volunteers offering to send me their address. Now I have been thinking of a project for them, and my decision for today is that if that project gets started I will keep them and if not, since folks have asked, I will rehome them - offer to give them away. But this left me wondering about one thing. I have not, to date, offered to de-stash my fabrics or scraps for cash or to give away for free. The reason why is simple - I am dedicated pre-washer. Please note - I DO NOT want to start a discussion on the appropriateness of pre-washing. I know that there are very strong views among quilters, and I don't care to change anyone else's approach - what you do is the right decision for you. Only for those of you who are curious about my choice, I wash my fabrics as they arrive at my house. I do it for two reasons, to get rid of all the chemicals on them, including the sizing that many folks like because it makes the fabrics a little stiffer to handle when sewing; and so that I can get to know the fabric and in doing so correct any stretching it might have suffered on the bolt, this last reason ingrained on my soul from years of garment sewing. I can say that in all my years of being in bees, no one has complained of any problem using my blocks along with the others received. The pre-washing really makes very little difference in the interaction of quilt blocks made of not washed quilting fabrics, which I also know because I use the bee blocks I receive, many of which are not pre-washed, without issue. What I do want to know is this: Would you be interested in buying fabrics that were pre-washed in a destash? And would you be interested in pre-washed scraps? Edited to add: Another question raised by Jennifer in the comments is what about pets? While I keep my fabric generally away from my cats, they sometimes lie near it - especially the scraps that are left out on my cutting table. Would this matter to you on a destash of fabric or scraps, knowing that I would first ensure that all cat hair was removed, and if need be, that it had been rewashed? 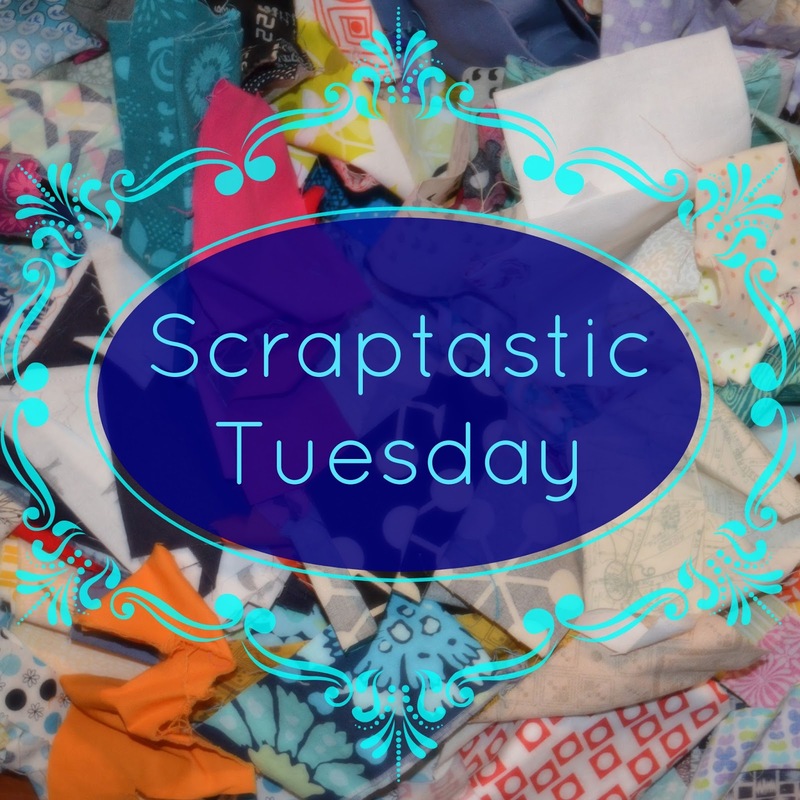 Scraptastic Tuesday - August Winners! I am rushing today to get the August Scraptastic Tuesday winners posted before I am off to a day of work at my day job and so I will have to wait and share some quilting or knitting tomorrow, thank you for your patience with me. 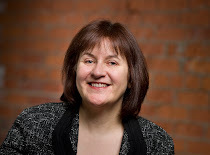 If you are a winner, congratulations, and watch for an email from me today to get you connected to your prize, but please note I will not be able to send them until this evening as I have to rush off now for a day of working at my day job. 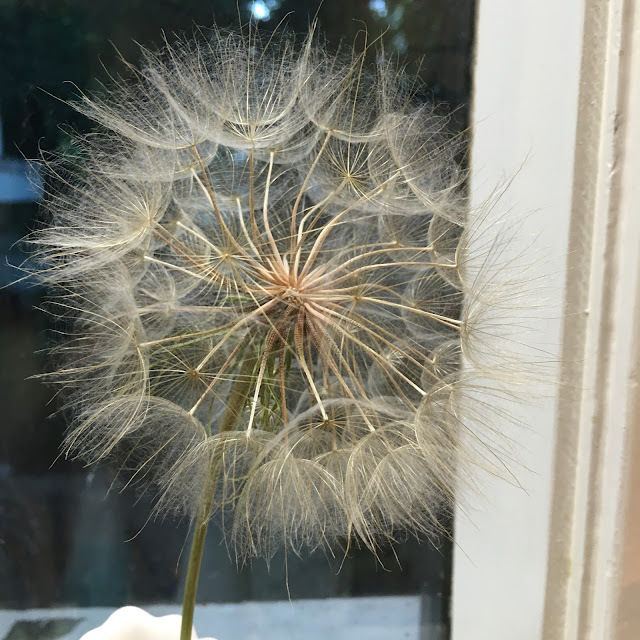 Please join Nicky from Mrs. Sew and Sow and I next month to link up your scrappy project or thoughts on taming your scrap mountain on the second Tuesday - September 13. And if you are looking for some scrappy inspiration, visit the August links, they are awesome. I have spent a lot of this summer doing other fun things besides quilting and blogging. I do intend to get back to this space now, as I miss it. 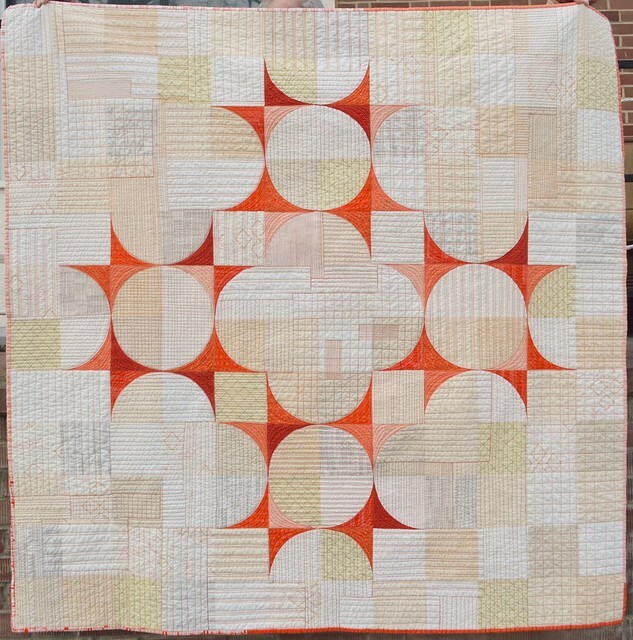 And I very much miss making quilts and such. I have also not been paying a lot of attention to the blogs I follow or even to instagram. I find instagram a lot less fun now that it is not chronological. For me a lot of the fun was being able to see what people were sharing right in this moment and connecting with them right now. Well, that seems to be less possible and so it is less interesting for me as now instagram is another thing that I need to "catch up on" rather than "check in to" for a few minutes. That is all by way of explanation as to why I am late to the discussion sparked by the Modern Quilt Guild's blog post about derivative work - do read the comments too, it is a great discussion. If you are inspired by anything I share or make or my techniques or my attitudes, or whatever, please copy it. You may copy it exactly, you may change little bits or all of it, you may mush the idea as you understand it with other ideas. Just be creative and have fun. Be derivative. Derive whatever you want. Go for it! 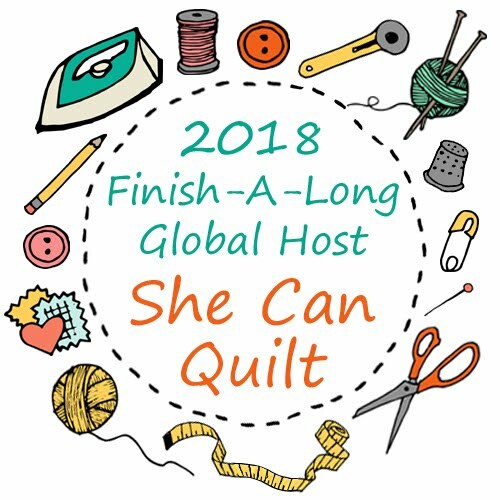 If you are using a pattern of mine or any idea, technique, or whatever of mine, I hereby give you a license to enter anything made from that pattern into a quilt show and to win prizes from it. If you do, an acknowledgement of my pattern or inspiration would be lovely, and do let me know so I can celebrate your accomplishments with the pattern. Do know that I am personally enriched if you share work acknowledging that I have inspired you - this is not just me being nice. I make quilts, many of which are my own design, for the joy of it. Not for shows or for prizes. In many respects I don't care what the MQG feels or thinks about derivative work. But I do disagree with them. To use the words of Austin Kleon, in my view everyone should "Steal Like an Artist". If you have not yet read his book, I encourage you to do so, its short and fun and great. 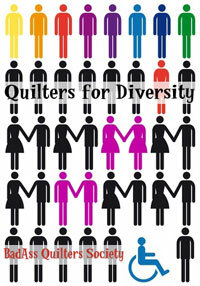 If all one does is copy exactly another person's quilt, with or without a pattern, copying every design, every colour, every fabric, every quilt stitch, and every technique, that person has make a hand made quilt, which is fantastic! My experience has been that if you pursue an idea, whether your own or someone else's idea, and you explore it and play with it, soon you will have your own work. You will pick other colours and fabrics, you will change the sizes, you will alter design decisions, you will alter the blocks, you will change the focus, you will change the impression, you will combine one idea with something completely different, you will do many other things. If you are inclined to do any or all of these, your work will soon cease to be a copy, and then cease to be "derivative" and will be instead inspired by stuff. 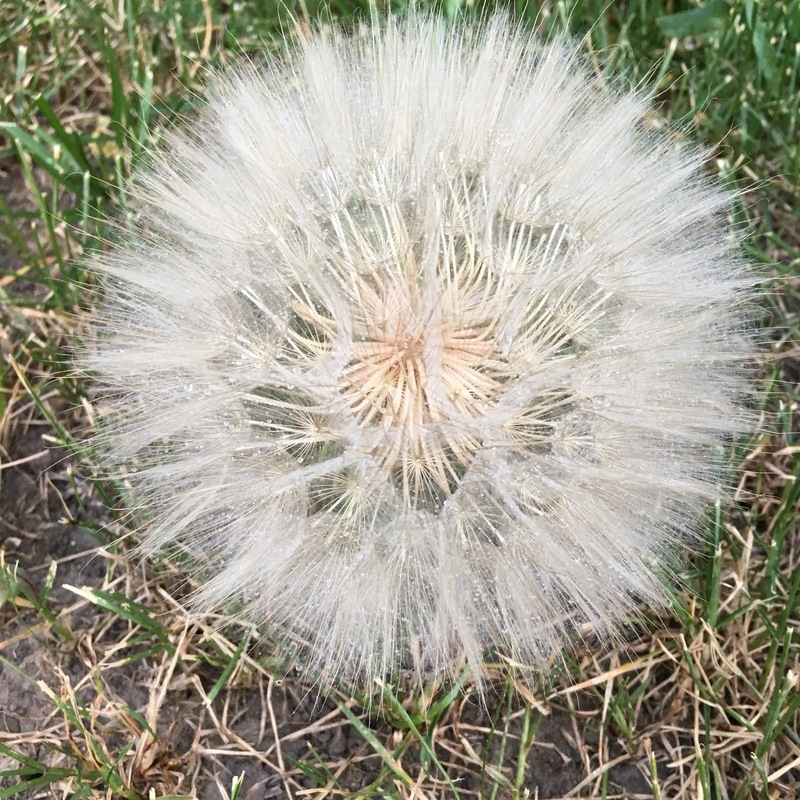 In my humble opinion, we are all inspired by something or 10 things, or 1000 things in everything we create. Whether those things are quilts or techniques or historical quilts or art or craft or architecture or life experiences or nature or fine art or conversations or music or poetry or emotions or many other things, we are inspired when we create. We often combine many of these inspirations or we can focus on one. 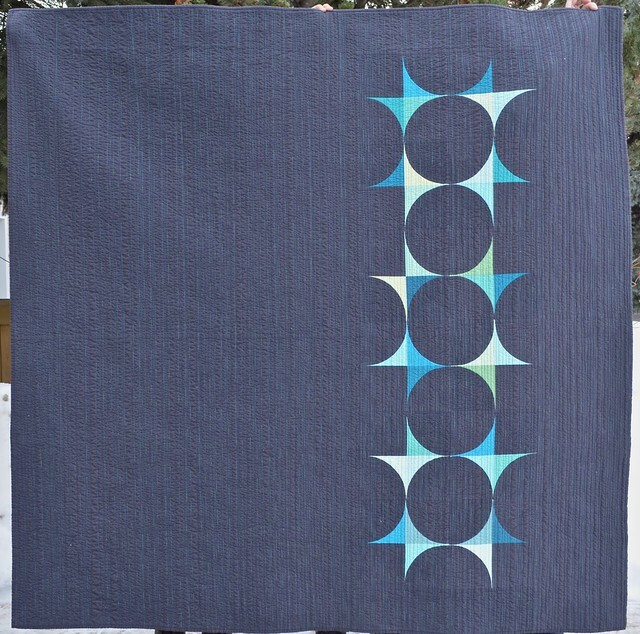 Eventually, if you are inclined to make up your own quilt designs, your own "style" will emerge. You will generally notice this has happened when other people recognize your work as yours. Those people may like it or they may not, but they will see your creative style even if you cannot articulate it well yourself. For me, however, every piece of art and craft - is derivative in some way, whether the particular set of viewers recognizes the inspiration or not. As a lawyer, I think that the MQG has done a poor job of trying to address legal concerns about the content in their show - that is that someone might sue them for a display/show that breaches copyright laws. They should have had a lawyer fully research the law and then write the post. And, the MQG is a WORLD guild, so it would be nice to see the Americans acknowledge that other countries have different laws. But in the end, the MQG can make its own rules and policies about its show, just like others who show quilts. I had hoped that, as a member, the policy making process would have included more consultation and debate among members, but I understand the need for organizations to respond to legal concerns too. 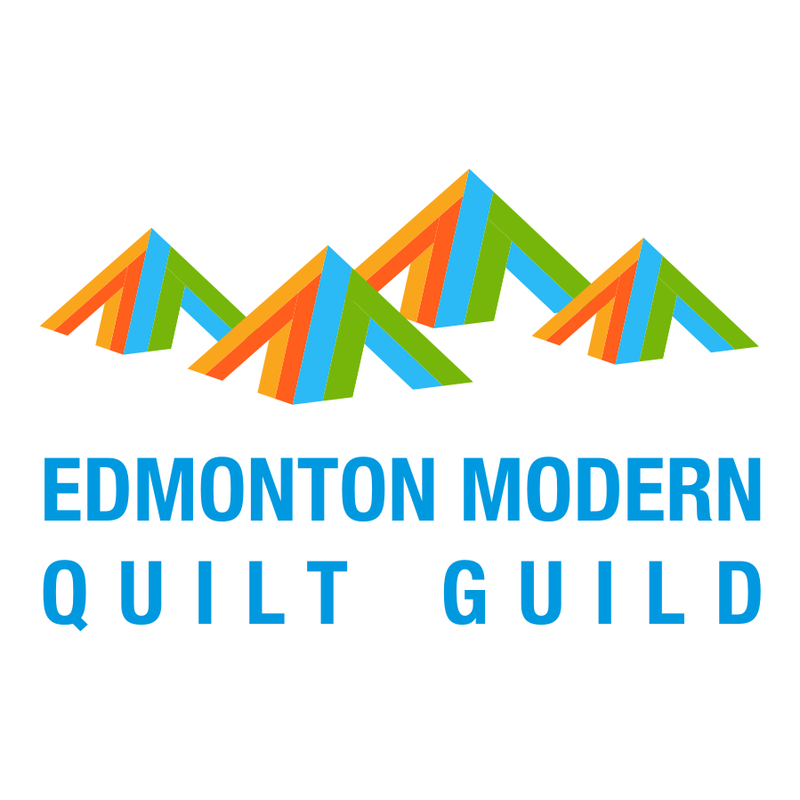 And while I am firmly of the view that the Modern Quilt Guild is made up of "my people", the important thing for me is that the MQG does not decide how I will create. The MQG views and policies will never stop me from exploring ideas, from copying work, from making derivative work, from making original work, from finding my own voice, from having fun. I make quilts, it is a joy to do so. I hope you feel that joy too. It's the second Tuesday of August, and the Scraptastic Tuesday monthly link is open. Usually I share my own scrappy project first but I have nothing to share. It has been a month of outside stuff, painting walls inside my house, watching movies, having extra naps and other summer stuff in addition to still working at my day job. But I have been knitting a lot - it is more portable. 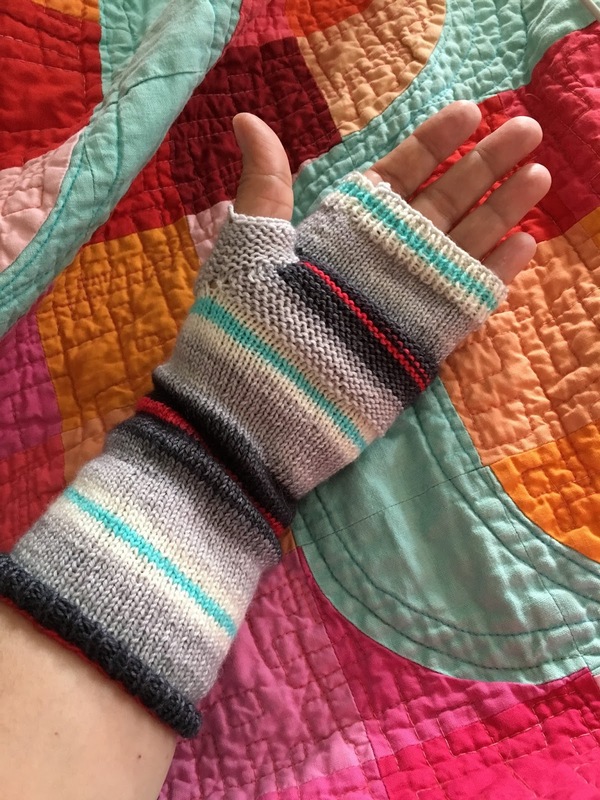 I have finished these handwarmers and once they are blocked I will post properly about them here. In fact, I will start posting here regularly again, I miss being in this space and I miss my sewing room. I have several ideas and before that a quilt or two that need to be finished by months end. Nicky, my Scraptastic Tuesday partner over at Mrs. Sew and Sow, has started a new scrappy sampler that she has designed and is sharing with us. I'm going to sew along with her, you might want to check it out too.